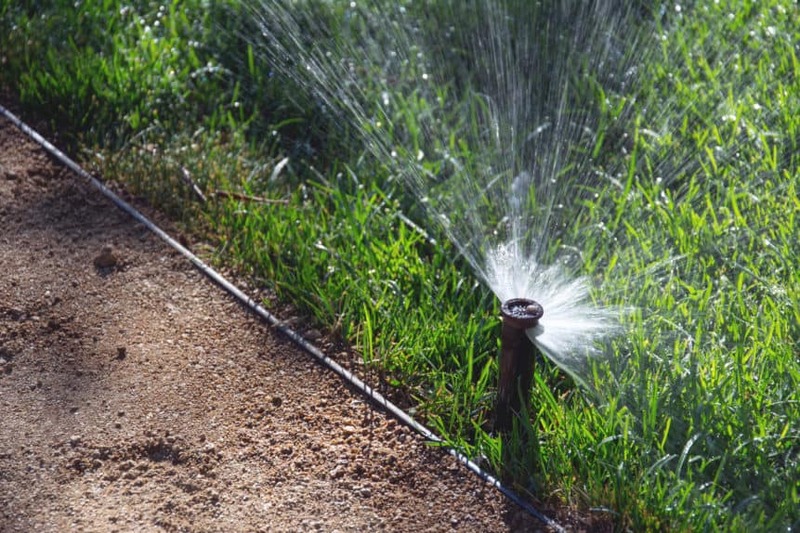 South Austin Irrigation will be installing sprinkler systems very soon! Anyone who has decided to enhance the value of their home with a sprinkler system (or who is even thinking about it), may be tempted to do the installation themselves, thinking that there is a DIY cost saving. But here are some very good reasons to hire a pro. 1. Design. Design of an irrigation system is not just a simple matter of deciding where to put the sprinkler heads. You also have to know such factors as the available water flow and pressure and how to compensate for too much or too little. You have to know what types of nozzles to use (and there is a dizzying array from which to choose) and where to place them for maximum coverage. Professional installers are well versed in these and all other aspects of irrigation systems and will save you the cost and aggravation of an improperly designed system. 2. Components. An irrigation system is made up of many different parts. There are pipes, valves, electrical components, cables and connectors, filters, backflow prevention devices, controllers, couplers, emitters, and maybe a pump to name a few. A pro knows how to select, correctly place, and install the right components. 3. Trenching. This part of the process can be quite physically strenuous, particularly if done manually with a trenching spade. Or you could rent a trenching machine from your local rental equipment dealer (but it ought not to be used to dig on steep slopes, near buildings, or through flower beds or ground cover). How deep should the trenches be for the main lines? For the laterals? And what about all the unforeseen obstacles such as rocks or tree roots? (Not to mention water, cable, or telephone lines, the location of which has to be confirmed before any digging starts). How about having to trench under pavement? A pro has the equipment to easily handle whatever comes up. 4. Preparing and laying pipes. First, you have to select the right type and size of pipes. And chances are that you’re not going to be able to get pipe precut to the precise lengths you need, so you’re going to have to cut the pipes to length and then couple the pieces together. Preparing and installing the correctly selected pipe and fittings so that they are faultless and remain tight is key to preventing future leaks. 5. Valves. A valve is a device that controls the flow of water through the pipe by opening, closing, or partially obstructing the passageway. Each circuit in your irrigation system is regulated by a valve. Ah, but what kind of valve? A globe valve? An angle valve? An anti-siphon valve? Above ground? In line? Should you use a backflow preventer on each individual valve? A professional installer will select and correctly install your valves. 6. Wiring. What size and type wire to use depends on different factors such as the particular model of the valve you’re using and the distance between the valve and the controller. The placement of the wiring to the control valves is also important to prevent accidental damage. A professional installer is an expert in correct wiring. 7. Sprinkler head types. The list of different types of heads is daunting to many people. There are fixed nozzles, impact rotors, gear-driven rotors, large turf rotors, pop-up heads, bubblers, rotary heads, shrub nozzles, and many others in a variety of sizes, shapes, brands, and styles. They each have their own uses and applications. A pro installer knows which type to use for your landscape size and shape. 8. Sprinkler head placement. After determining what type of sprinkler heads will work best, the professional installer also knows how to properly space and place them to get maximum coverage and eliminate the waste of water that occurs with overspray and runoff or when factors such as soil type, steep slopes, or obstructions are not taken into account. 9. Filtration. Like any system that uses water, your sprinkler system needs a filtration system to remove any particles or contaminants from the water supply. Some filtration systems will notify a controller when these particles have built up on the screen to a pre-determined level. The controller sends a signal to rinse the screen and carry the particles to the drain. A pro installer knows just what kind of filtration system to install and the best strategic location for it. 10. Controllers. The controller is the “brains of the operation”. It programs the watering schedule – timing, frequency, and duration. And there are controllers that will do many, many more things. There are Wi-Fi controllers that will connect to your cellphone or tablet for remote operation. There are controllers that will regulate the system based on the local weather conditions. There are devices and controllers that will decide whether or not to activate the system based on the moisture content of the soil. They can monitor and record the flow rate. You can get controllers that will regulate different schedules for multiple zones. There are metal enclosures, plastic enclosures, stainless steel enclosures, wall mount, and pedestal type. The choices are almost endless. The professional installer will help you navigate the maze to select the controller that’s right for your new system. A correctly designed, selected, installed, and maintained irrigation system will deliver exactly the right amount of water at exactly the right time at the lowest possible operating cost. Keep your landscape vibrant and lush and your costs down with a professionally installed system. Call South Austin Irrigation today at (512) 534-7449. You can count on our knowledgeable and experienced personnel for all your sprinkler system needs.